Ms. Jessie Esparon was born on 30 December 1959. Between 1965 and 1977 she was student of Plaisance School and Regina Mundi Convent. From 1978 she started a career in the public service first as a radio broadcaster but later branched out in Public Administration during which time she built considerable work experience. In 1990 she completed her Diploma in Management and also attended several developmental training courses locally and overseas during her career. She was appointed Chief Secretary for the Public Service in January 2013. She has been a key figure in the Public Administration and Public Sector Reform first generation of programmes which the Government embarked upon in 2009 and which is still on going, and is a strong advocate of good governance. Ms. Esparon also served on several boards of parastatal bodies; Industrial Relations Advisory Board; Occupational Health and Safety Board and as Registrar of Trade Unions. 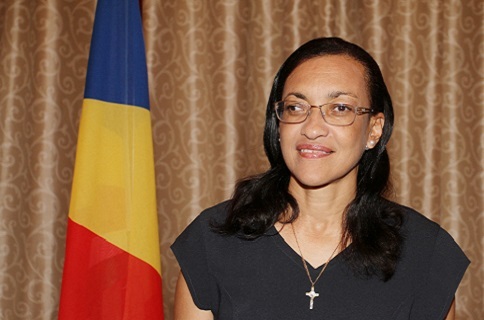 She is currently a member of the Board of Trustees of the Seychelles Pension Fund and also represents Seychelles on the Board of the Eastern and Southern African Management Institute. On 16th October 2016, Ms. Esparon was appointed Chief Secretary and Head of the Civil Service.